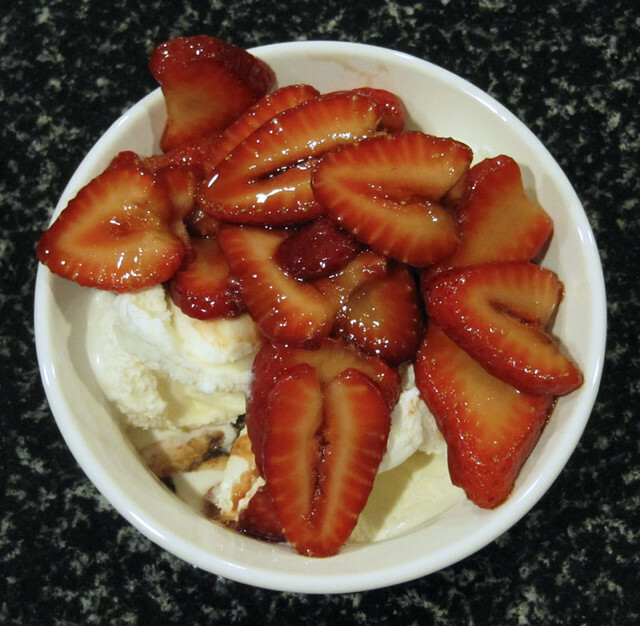 We decided to try our hand at making our own balsamic strawberries after having it at Amano Bistro and I must say, it turned out quite delicious. It was super easy! Also a relatively healthy dessert if you don't have it with vanilla ice cream, but in my mind, that's like having bubble tea without the tapioca. Unacceptable.